The abrasive compounds are organic compounds obtained from various mixtures of elements for the roughing-out and finishing processes of metals. 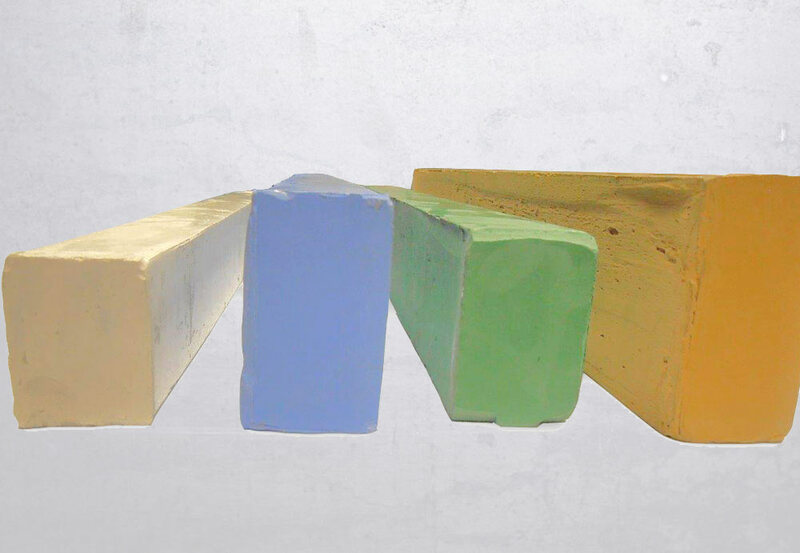 Their appearance may vary depending on their use: in fact, the abrasive compounds are available both in liquid and in solid form and in both compositions: there are the polishing compounds, for the roughing-out processes, and finishing ones, for finishing processes of the metals. Regarding the automatic robots, are used the compounds available in measure, which are sprinkled automatically on the metals polishing wheels.